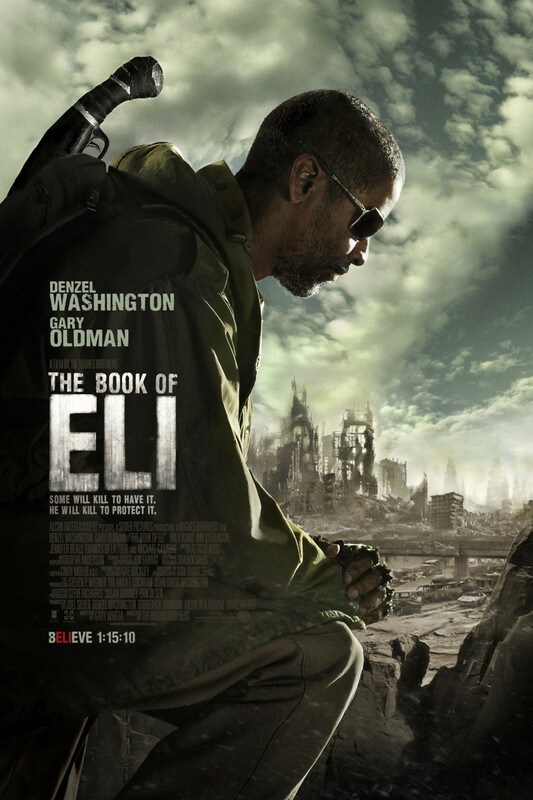 The Book of Eli DVD and Blu-ray release date was set for June 15, 2010. A nuclear apocalypse has devastated America, but in The Book of Eli, one man holds the key to keeping hope alive. Eli is a wandering vagabond who hasn't had a home in more than thirty years. His prized possession, a battered but closely-guarded book, is the one thing that keeps him going through the violence, looting and lawlessness of his dusty dystopia. When he stumbles into a village, however, run by a powerful man with ambitious ideas about rebuilding - and controlling - a new society, Eli is forced to stop and re-consider his views about never getting attached. When the man discovers his book, the same book he's been looking for, all bets are off.